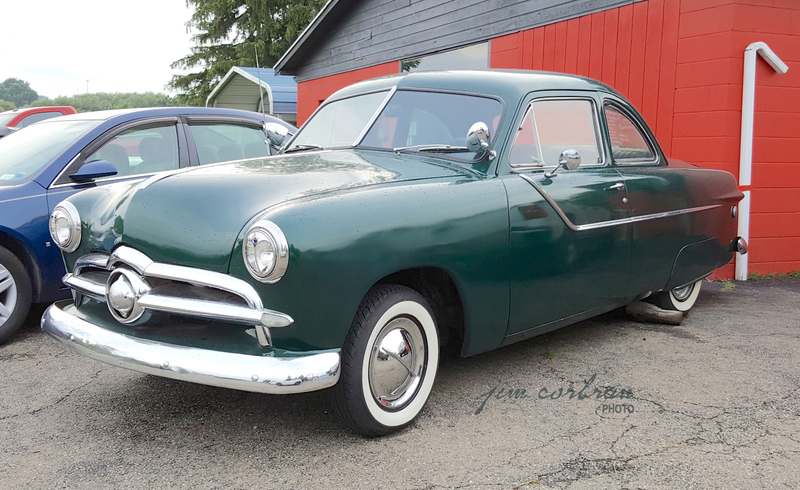 Always popular with customizers, the 1949 Ford is commonly known among the automotive crowd as the shoebox, due to its shape — which was quite slab-sided when compared to other cars that year. This coupe, seen a couple of weeks ago in Perry, is wearing a pair of “dummy” spotlights and a set of bladed wheel covers — both of which look like they’re right out of a J.C. Whitney catalog. It also sports a pair of rear fender skirts and what looks like the side trim from a 1955 Pontiac Chieftain.